Christina was born with a left arm limb deficiency and has been a patient at Shriners Hospitals for Children – Springfield, where she has been fitted with a number of prosthetic arms over the course of her growth, since she was six months old. Now, Christina is an active 11-year-old girl who knows no limits or boundaries. “Can’t” is considered a bad word in her vocabulary. Christina is a National Junior Olympic Cross Country runner and has qualified to run at the US Junior Olympic Nationals for the last three years. She enjoys alpine downhill skiing, loves to read and perform in her school drama club – where she recently played Pumba from the Lion King. Christina has also recently taken up golf. She works with a coach and a professional golf instructor who guide her in learning the skills and rules of golf. 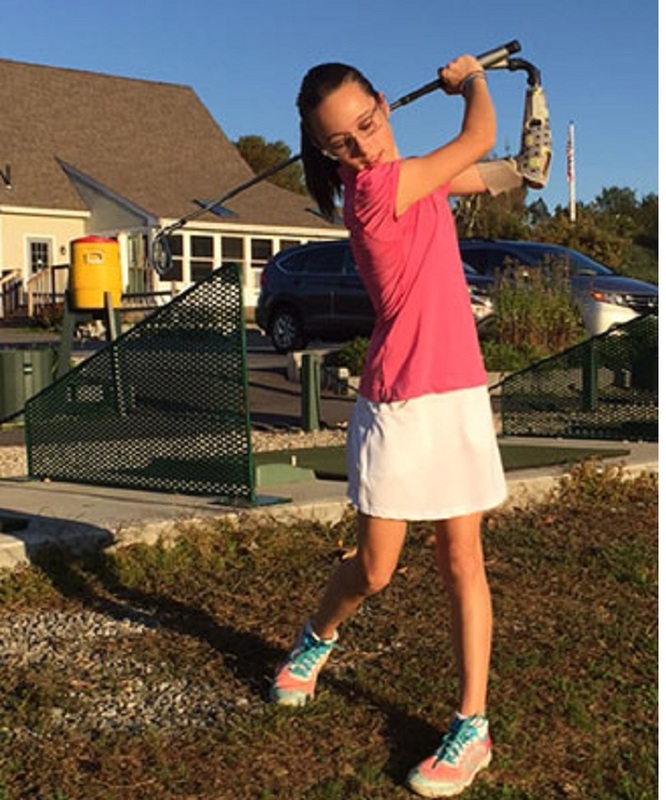 She absolutely loves playing golf with her new prosthetic arm from Shriners Hospital and is excited for the opportunity to join the golf team at school. Christina loves to offer one piece of advice… Please don’t stare! She encourages others to ask about her arm and loves to talk and teach others about her limb deficiency. Christina feels her limb deficiency is what makes her unique and that being “single handed” has made her strong in many ways. Support received from the Joy in Childhood Foundation ensures that Shriners Hospitals for Children – Springfield can carry on its mission of providing life-changing care to children like Christina.